A Happy New Year! Shin-nen akemashite omedetou gozaimasu! I congratulate you all in welcoming a bright new year wherever you are living now. We are celebrating a wonderful new year with our families, friends and communities here in Okinawa. At the beginning of this year, I am happy to announce the erection of the Memorial Monument for our Founder Shoshin Nagamine in 2020. This has been the biggest dream of WMKA. 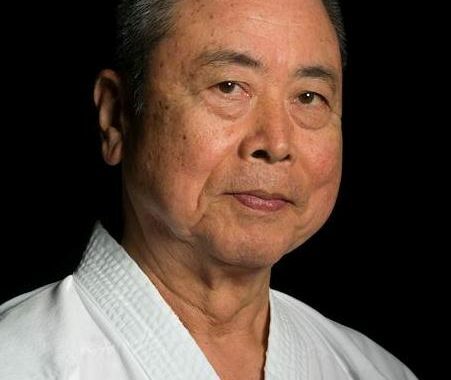 The Okinawa headquarters decided on a plan known as the “Okinawa 2020 Project” and will host a “Karate-do Seminar” from October 31 to November 1, along with “The Memorial Monument Unveiling and Celebration Ceremony” on November 2nd, which is the anniversary date of the late Founder Shoshin Nagamine’s passing. Although details of the venues are not yet decided upon, we will post all information on the WMKA & EMKA Website when we have all of the answers. I strongly wish that you all will participate in the “Okinawa 2020 Project” and meet the Founder Shoshin Nagamine next year. The “Tokyo 2020 Olympics” will be opened from July to August next year. “The first Okinawa Karate　International Tournament “was successfully completed in August last year. Approximately 1,200 karate enthusiasts participated in “Kata Competition” and about 2,300 in the “Okinawa Karate Seminar” from 50 countries and regions around the world. The 2nd Okinawa Karate International Tournament may be scheduled in 2022. All Okinawa karate organizations are working very hard to win “The Okinawa Traditional Karate” listing on “UNESCO’s World Intangible Cultural Heritage List” as soon as possible. Fortunately, Tokyo 2020 gives a very effective movement to Okinawan karate devotees and many karate & kobudo practitioners are coming to Okinawa to study and train themselves at “The Birth place of karate”. Okinawa HQ will be happy to host your karate practice trip to Okinawa. For the end of my greeting, in Japanese culture 2019 is “The year of Boar”. 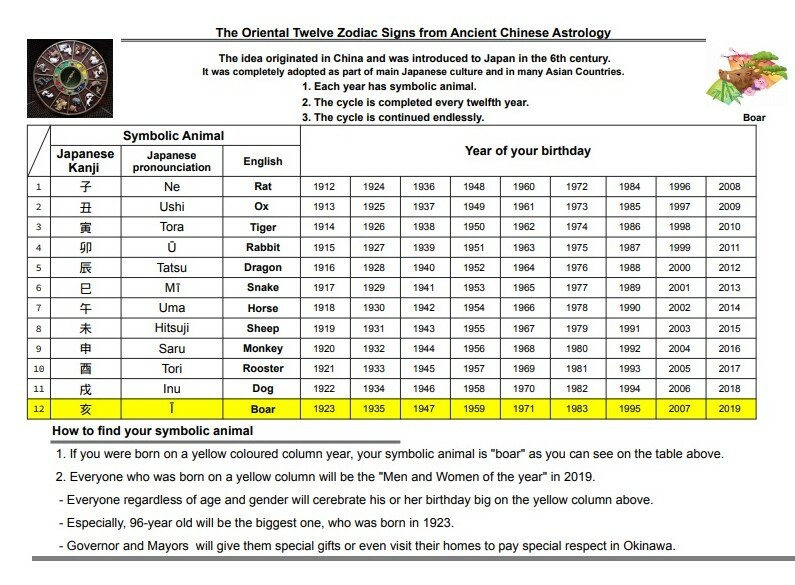 Though I don’t know whether you like it or not, please enjoy your symbolic animals in the attached table. I pray for your family and your karate life the best in 2019!